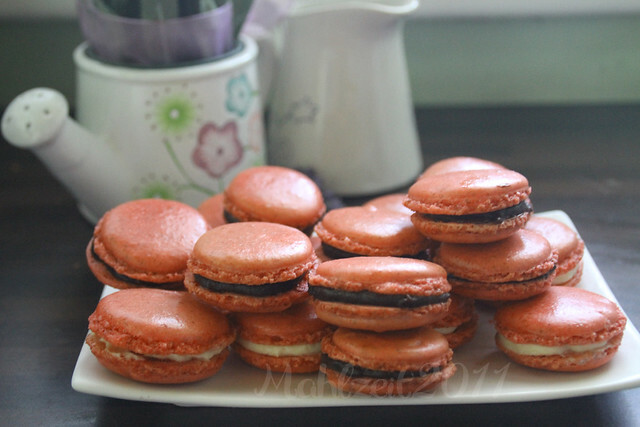 Believe it or not… one of items on my Bucket List is to eat the French macarons! this post made me drool! Thanks for linking up, G. Have a great week ahead. yummm……..parang ang hirap gawin! isa nalang ako sa kakain. lol. ps. didn’t use kumareng FBC dun sa weekend eating post ko, G. gamit ko picasa lang kasi tamad magbukas ng ps. lol. thanks sa compliment! I haven’t had macarons before. I should scout for one around these parts. I’m sure there’s at least one bakery that sells this in SF. I heard that the egg whites could age for up to 4 days outside! Most successful recipes say 24 to 48h, in a towel-covered bowl, at room temperature, to really help get rid of extra humidity. I would work the macaronnage slightly differently: do the folding for 40 times, then use a pastry scrapper to press down the batter a dozen times to release extra air trapped in it. This step will get you a smooth, shiny shell, quite flat a la Laduree but definitely not bumpy and swollen. 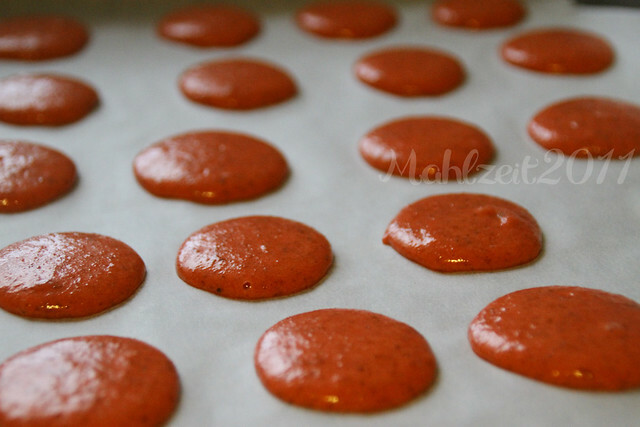 Hint: when you pipe out the batter, the “magma” flattens in a circle rather quickly. These look simply yummy… and are adorable too! Thanks for linking up last week for Tasty Tuesday! These are beautiful. 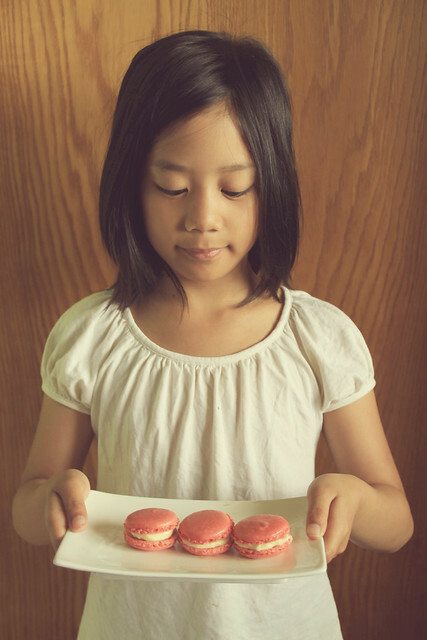 I have yet to try Macarons myself and cannot wait to do so.